OMKAR la ripetizione udibile del mantra om disattiva il sistema limbico producendo effetti calmanti simili a terapie usate per la depressione e l’epilessia. Attiva il nervo vago condizione indispensabile perchè gli emuntori funzionino a dovere e per “ricaricare” le batterie dell’energia vitale. Una cosa semplicissima dagli effetti molto importanti per la salute a costo zero. Int J Yoga. 2011 Jan;4(1):3-6. doi: 10.4103/0973-6131.78171. Neurohemodynamic correlates of ‘OM’ chanting: A pilot functional magnetic resonance imaging study. Kalyani BG1, Venkatasubramanian G, Arasappa R, Rao NP, Kalmady SV, Behere RV, Rao H, Vasudev MK, Gangadhar BN. A sensation of vibration is experienced during audible ‘OM’ chanting. This has the potential for vagus nerve stimulation through its auricular branches and the effects on the brain thereof. 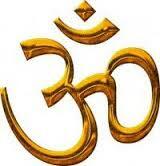 The neurohemodynamic correlates of ‘OM’ chanting are yet to be explored. Using functional Magnetic Resonance Imaging (fMRI), the neurohemodynamic correlates of audible ‘OM’ chanting were examined in right-handed healthy volunteers (n=12; nine men). 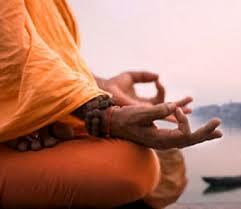 The ‘OM’ chanting condition was compared with pronunciation of “ssss” as well as a rest state. fMRI analysis was done using Statistical Parametric Mapping 5 (SPM5). In this study, significant deactivation was observed bilaterally during ‘OM’ chanting in comparison to the resting brain state in bilateral orbitofrontal, anterior cingulate, parahippocampal gyri, thalami and hippocampi. The right amygdala too demonstrated significant deactivation. No significant activation was observed during ‘OM’ chanting. In contrast, neither activation nor deactivation occurred in these brain regions during the comparative task – namely the ‘ssss’ pronunciation condition. The neurohemodynamic correlates of ‘OM’ chanting indicate limbic deactivation. 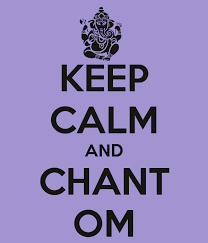 As similar observations have been recorded with vagus nerve stimulation treatment used in depression and epilepsy, the study findings argue for a potential role of this ‘OM’ chanting in clinical practice.